Each year residents of Fair Oaks Ranch volunteer to maintain our parks and trails. Even with this help we still have a lot of land that has yet to be groomed so residents can enjoy it. With your help we can make progress faster! We welcome civic organizations, schools, clubs, Boy and Girl Scout troops and interested citizens who wish to help improve and maintain FORHA trails and parks. We also assist businesses looking for employee service projects. FORHA Parks & Trails Committee members work with each group to select a project. The scope of work varies and any size or age group can be accommodated. Tasks include anything that can be accomplished in a park such as trash pick-up, brush trimming, invasive plant removal, or dead wood removal. Some tasks unique to a particular are labor intensive. If you are interested in volunteering, we encourage you to fill out our form found here. 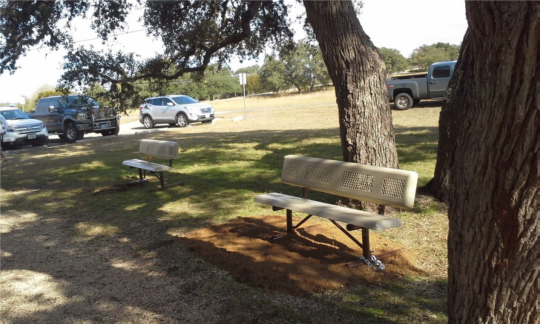 There is great need for park benches along our vast trail and park system in Fair Oaks Ranch. If you would like to sponsor a park bench, we will recognize your donation with a 5”x7” plaque placed near the bench. You may choose from either a 6 ft or 8 ft park bench. Price includes plaque and installation. Please contact the FORHA office to receive a quote, (210) 698-2225. 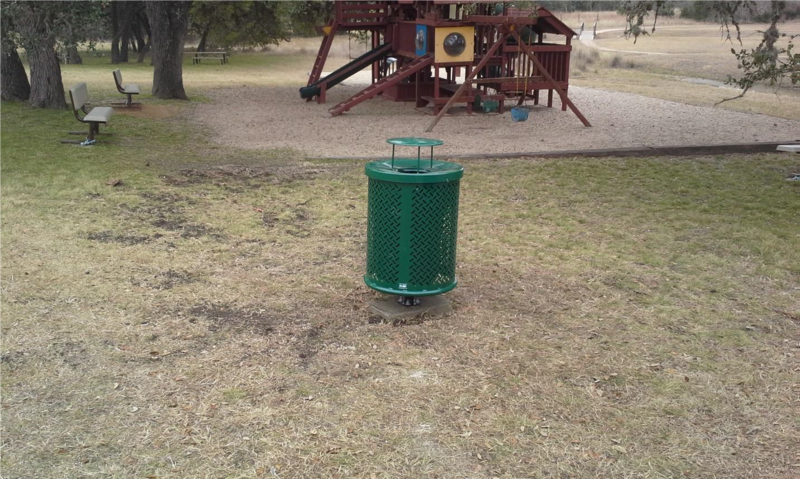 As we enjoy more usage of our parks and trails, there is a growing need for more trash receptacles. We hope our residents will leave only their footprints behind in our parks and trails if there are trash receptacles for their litter. If you would like to sponsor a trash receptacle, we will recognize your donation with a plaque placed near the receptacle. Please contact the FORHA office to receive a quote, (210) 698-2225. Our parks & trails are great gathering places for friends and family to enjoy a meal together. We will select a beautiful location along our parks and trail system for your table. 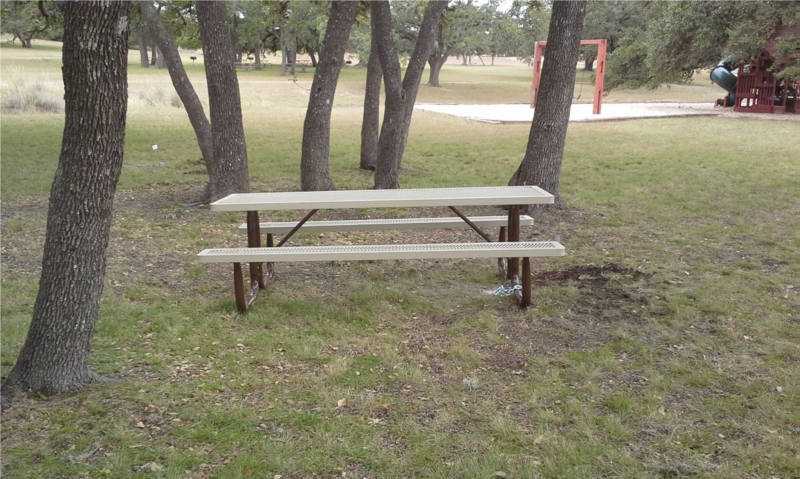 If you would like to sponsor a picnic table, we will recognize your donation with a plaque placed near the table. Please contact the FORHA office to receive a quote, (210) 698-2225. 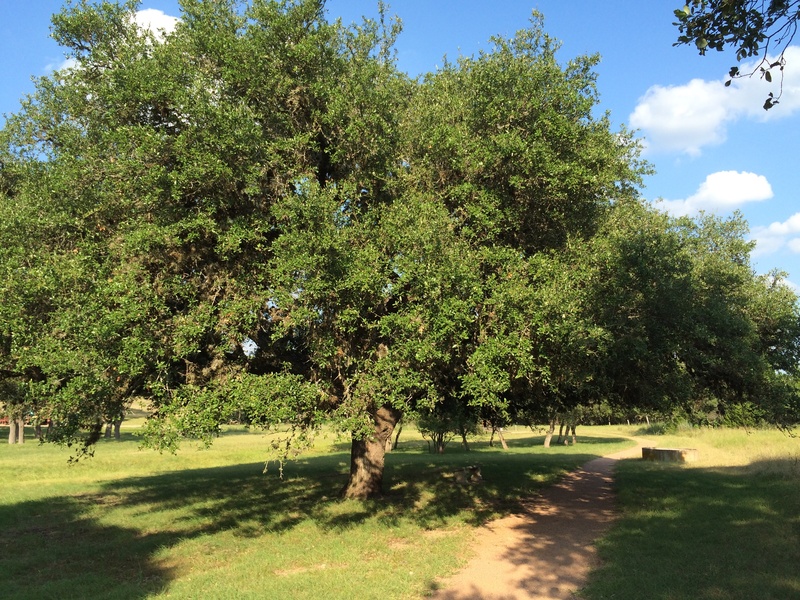 The live oak trees that line our parks and trails in Fair Oaks Ranch are a unique, natural resource. The “Adopt a Tree” program helps protect and improve the tree cover that makes our trails and parks such a great place to run, walk, ride and bike. Individuals, families, clubs and businesses can adopt a tree. Select a live oak tree and receive a quote to find out how much it costs to maintain the tree. You may also choose a donation level and a specific tree will be selected for you. Trees make wonderful living memorials. Click here to view more information about the “Adopt a Tree Sponsorship” levels. Sponsors of a tree will have their name on a plaque near the tree for as long as they sponsor it. Note: This tree is beautiful but full of moss and is in great need of trimming / clean up.